Following on from Saturday’s blog post about getting out of the old comfort zone, and into Outfit of the Day posts, or rather Outfit of the Week posts here’s the first one! Though I’m guessing you guys probably guessed that from the title. This post was surprisingly quite fun to do, despite all of my earlier reservations. Now, I’m not entirely sure how these posts go – I tend to just skip the text and look at the pretty photos and then scan for any possible shopping links. So let’s just go from top to toes, which seems logical to me. The hat is a fabulous felt creation from Banana Republic. It must be a good few years old, but it’s such a classic style you can dust it off every winter or autumn and still feel pretty darn good about wearing it. 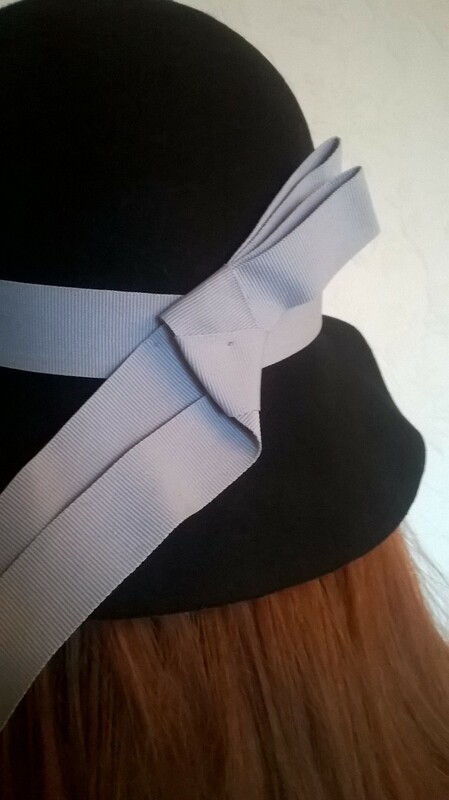 My lovely photographer for the day was kind enough to get a close up of the bow (does this thing count as a bow?) because I think it just gives the hat a little bit more. 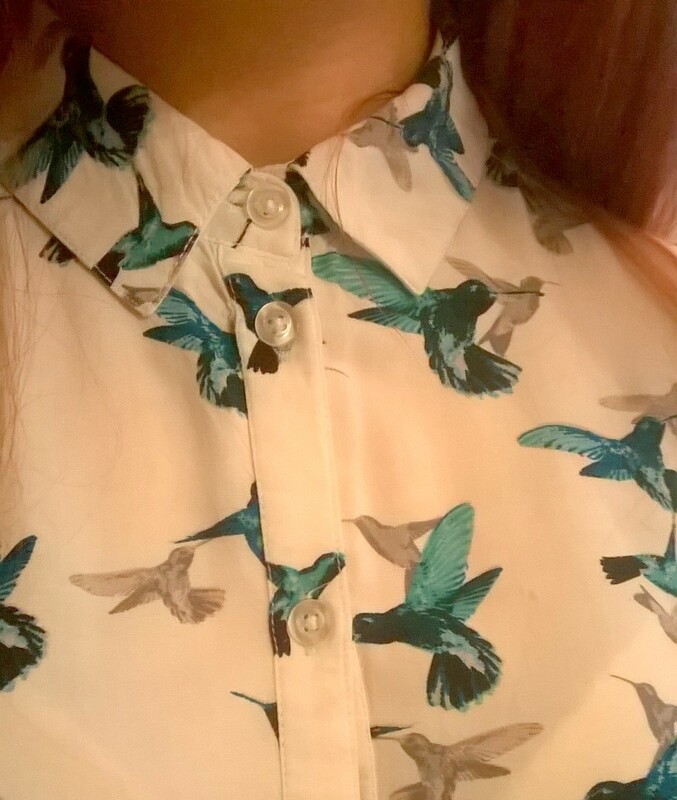 The shirt I got a few months back from a Dorothy Perkins sale, but they are still selling pretty similar ones now. The only real difference is that it has short sleeves and all of the birds are grey; whereas mine are both grey and blue. The skirt is a primarni steal… I haven’t been back to Primark so I’m not sure if it’s still on sale however if you have a look at the links below I’ve found one that is incredibly similar. Like the only real difference is a couple of inches on the waistband. 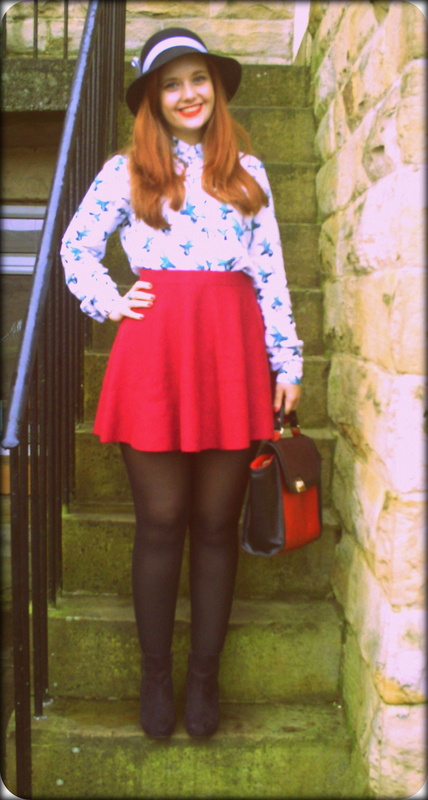 I knew this skirt was short, but looking at it in these photos has made me go ‘ohhh’. So yeah, sorry to anyone I’ve flashed wearing this to work in the past. 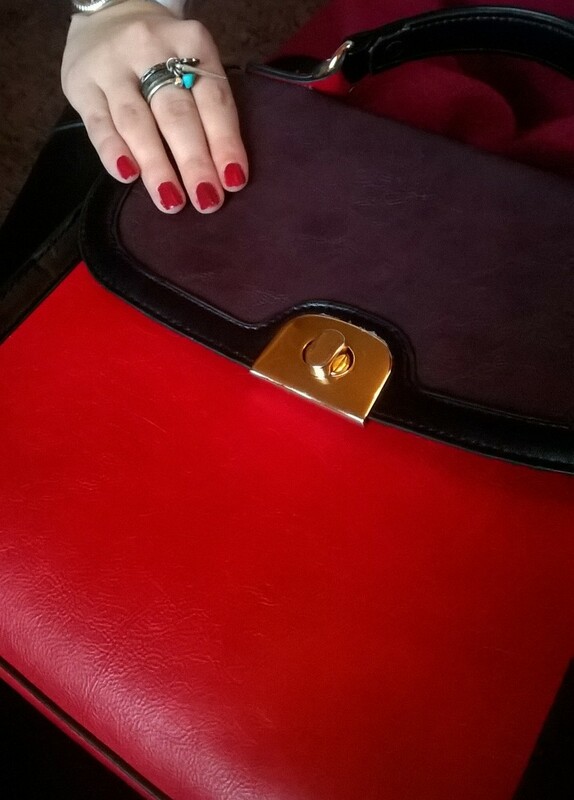 This bag was a gift from by boyfriend, and I feel the mixture of claret and purple in such a classic shape make it a wardrobe must-have. 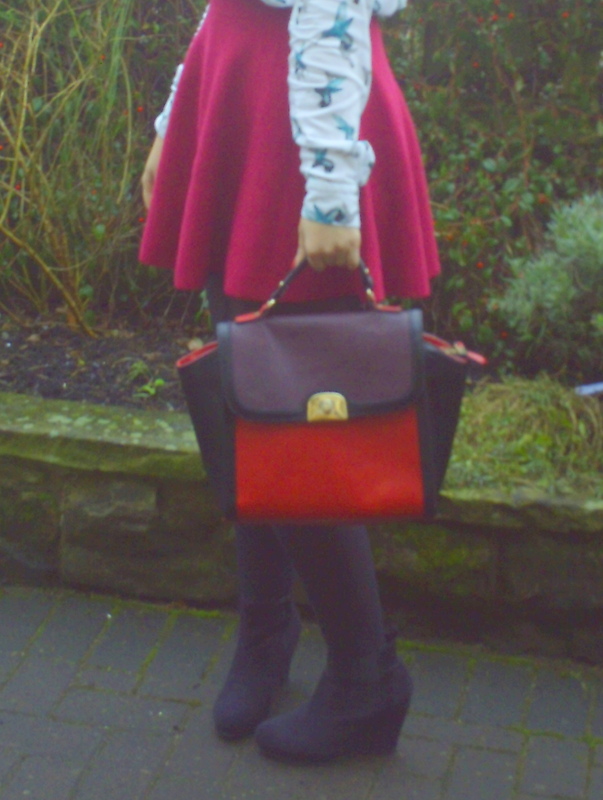 It is perfect for Autumn/Winter and you can fit enough in it that you don’t have to have the dreaded cotton tote in tow. Outfit of the Week: The Statement Mac. Previous Post The Only Thing to do With Good Advice? Next Post How Are We Affected By The Media?